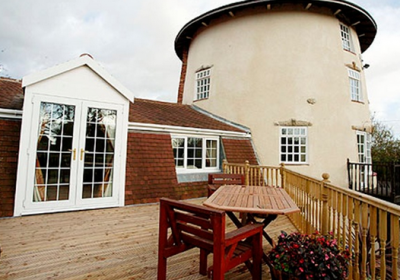 Stay in a Converted Windmill With Hot Tub just £29.50 each !! 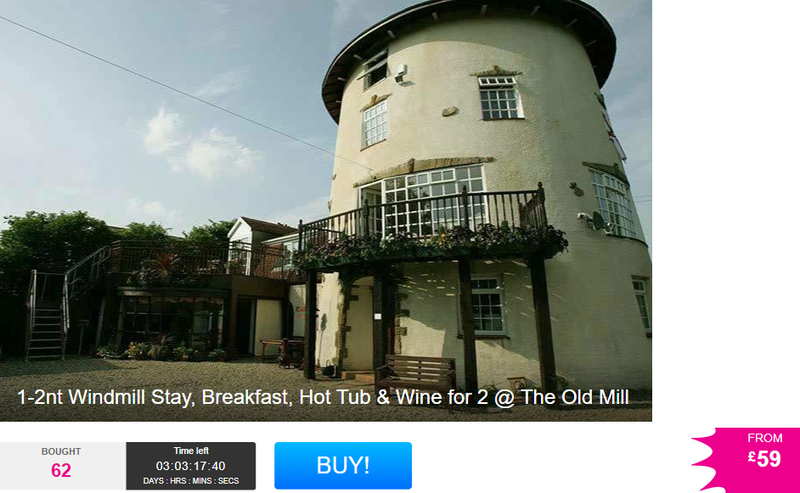 Oh Guys I love this deal over at Wowcher… Enjoy a mini break in a lovely converted Windmill complete with Hot Tub for as £29.50 each !! The Old Windmill is located in the pretty market town of Yarm, between Darlington and Middlesborough. The hotel is within walking distance of the local pub, as well as the selection of boutique shops and cosy cafes that Yarm has to offer. To see more pictures – CLICK HERE. Once a functioning windmill, the now converted rustic and romantic inn is the perfect location for a romantic getaway for two. Converted in 1750 The Old Mill has seen more than a few changes but retains many of the original features such as a roaring fire in the guest lounge, wooden beams and all with the added modern-day benefit of Wi-Fi. Where better to retreat to than this unique and quirky accommodation to truly escape city life with a lucky companion? There’s even a glass of wine on arrival, and a continental breakfast included each morning of your gorgeous getaway. Bliss! Located in the North East, The Old Mill is surrounded by a beautiful landscape that is just perfect for nature lovers. Enjoy gentle strolls through the surrounding fields or head into the quaint little town of Yarm. If you get hungry during your walks, you can head to The Fox Covert Public House for a hearty pub lunch just a two-minutes’ walk away. You’ll find an abundance of interesting towns close by: a 6-minute drive away is Ingleby Barwick, and in a mere 15 minutes you can easily access Stockton, Teeside and Middlesbrough. With no shortage of relaxing activities and stunning scenery, you’re sure to have a pitch-perfect romantic getaway! Stay in a romantic renovated mill for one or two nights – converted in 1750! Indulge with a glass of wine each on arrival before heading to your charming double bedroom. With a continental breakfast each morning of your stay in their conservatory to set you up for the day. Why not bring your swim suit and enjoy use of their outdoor hot tub for that added touch of added luxury? With access to their guest lounge featuring a roaring fire and easy internet access and Wi-Fi. Located in the town of Yarm and ideal for anyone looking to escape city life for country walks and fresh country air! Do you take dogs just a small border terrier? is it a private hot tub with your room? Is the hot tub private please?